An ex-reporter, a high-tech specialist and a nun help right wrongs of the near and distant past as they circle the globe. Even though Ali Reynolds (Deadly Stakes, 2013, etc.) is a grandmother, she intends to get married in style. She doesn’t come to England with her major-domo Leland Brooks just to shop for a wedding gown, however: She hopes to see Leland reunited with his estranged family while she tries to find out if Leland’s late father had a little help in dying. Ali’s fiance, B. Simpson, head of a computer security company, is following the case of Lance Tucker. A former honors student and computer whiz at a Texas high school, Lance was recently released from juvenile detention after an accident that broke both his legs and gave him second-degree burns. Simpson, who was partly responsible for sending Lance to juvie when the boy was caught hacking into his school’s computer system, feels guilty and wants to lend a hand. For starters, he has Sister Anselm appointed as Lance’s patient advocate. The murder of another advocate for the teenager unites Ali, Simpson and Sister Anselm in trying to protect Lance, who’s developed a computer application that may be worth more than his life. Dizzying changes of locale and point of view, along with large helpings of sentimentality, weaken Ali’s latest. 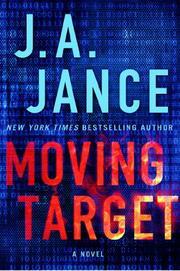 If only Jance had focused on one plot instead of sending her characters all over creation in pursuit of two separate mysteries.